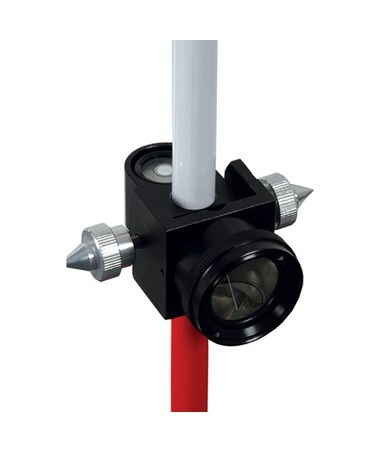 The Seco Mini Prism System with Pin Pole 6600-10 features a 25 mm silver-coated prism with a 0 mm offset attached to a holder that slides up and down the included pin pole. 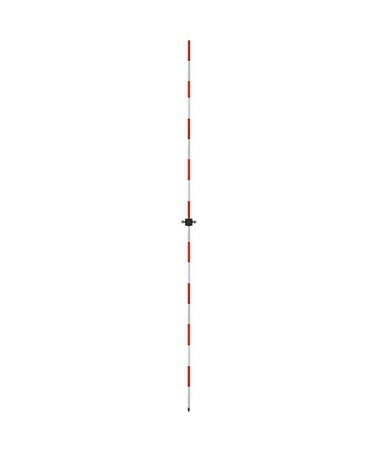 The 12.2 mm diameter pin pole has 10 cm long red and white sections that make up three adjustable sections for a total height of 1.8 meters. These adjustable sections can be fully secured with the knob lock, which also includes a built-in level vial with 40-minute sensitivity. 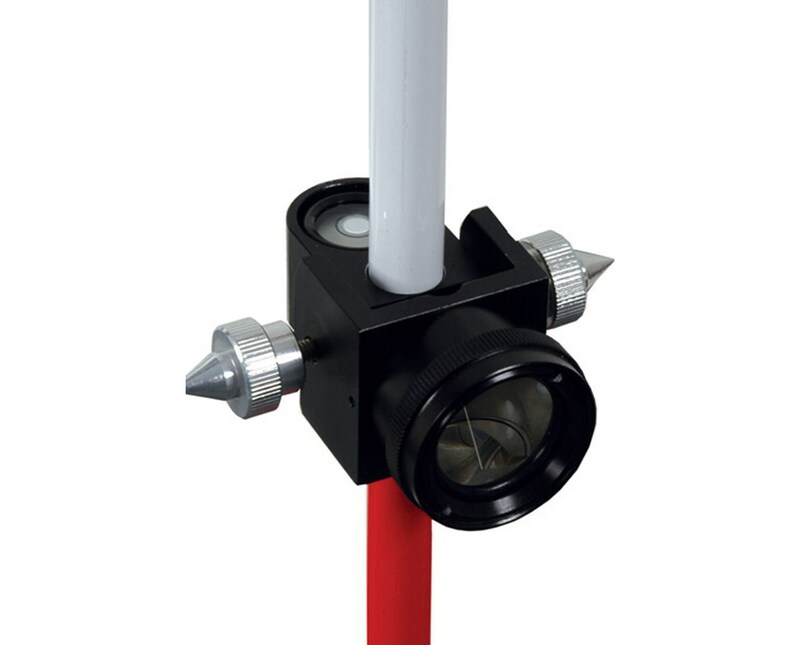 This prism pole system comes with a replaceable stainless steel point on the pole, an accessory kit with a plumb bob hook, a cone for attachment to the prism, and a carrying case.